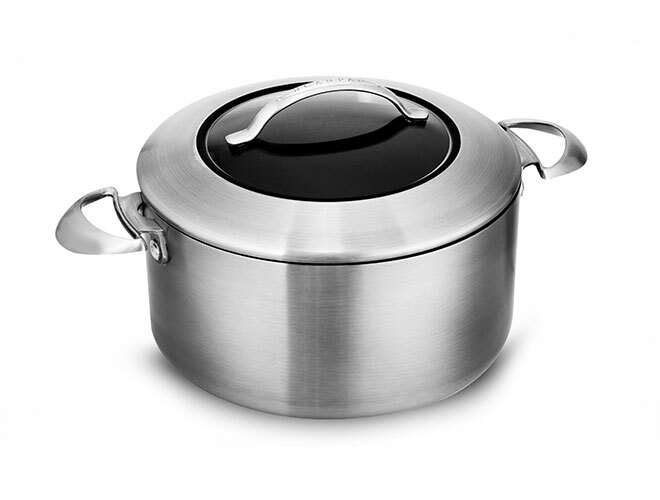 The Scanpan CTX Stratanium Stainless Steel Nonstick Round Dutch Oven is attractive with plenty of room for meat and herbs. The Scanpan CTX Stratanium series features multi-layer fused construction, resulting in rapid and even heat distribution throughout the entire cookware piece. 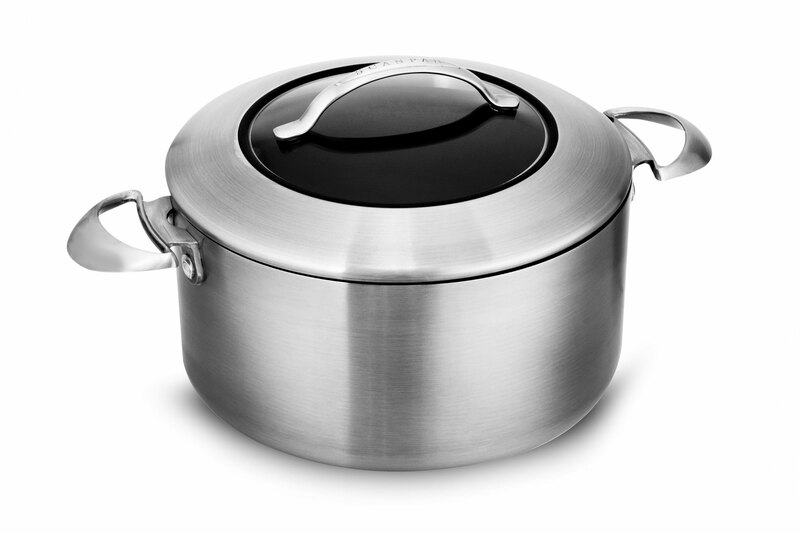 Multi-layers include a ceramic titanium PFOA-free nonstick surface, 18/10 brushed stainless steel exterior, aluminum alloy, pure aluminum, aluminum alloy, and 18/0 magnetic stainless steel. Scanpan spent over two years researching and testing to create the Stratanium nonstick system from the ground up. 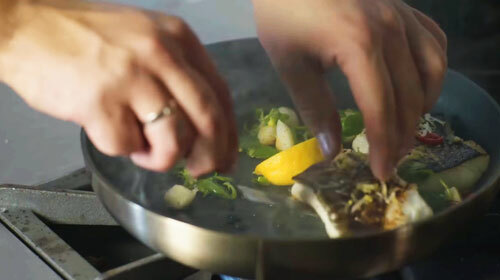 Stratanium consists of 5-layers in which hard particles and wave-like layers interlock to reinforce the nonstick layer. This makes Stratanium products have a 50% more durable nonstick than the previous Scanpan coating. Made in Denmark with a lifetime warranty.